Is the EU preparing to side with Bing in Google tussle? You've still got some way to go, Google - European Union regulators have hinted that the search engine's proposals to settle the ongoing ant-competitive behaviour issues are not enough. Reuters reports that during a European Parliament hearing, Competition Commissioner for the European Union Joaquin Almunia said, "we will probably ask Google, 100 per cent, you should improve your proposals" in June. This means Google will need to suggest more changes it can make to the way its search results are displayed if it wants to put an end to this enduring case. Google responded by proposing to label promoted links for the next five years, as well as displaying results from search rivals including Bing and Yahoo. But with recent reports that Google's rivals had hinted they'd be rejecting the search engine's proposals, we can't say the latest news of any huge surprise. 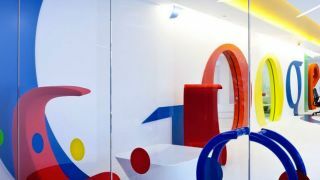 A revamp by Google will also likely lead to a new design on its European search engine to accomodate the changes.